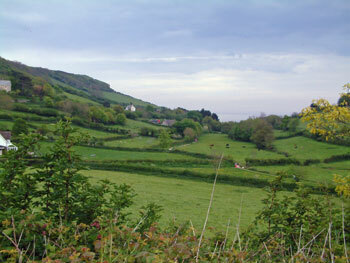 The lush green rolling hills of the Devon countryside are a feast for the eyes. 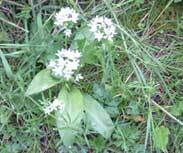 the fields are divided by high hedgerows full of a variety of wild flowers. Birds nest and call. The deep lanes with hedgerows high on either side are an experience in themselves. No fast cars here because it's often single file with blind bends but oh so pretty. 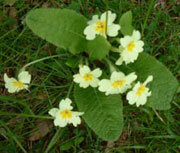 Visit Devon in May when wild flowers are at their best. You will find yellow primroses and buttercups in the fields, wild hyacinth, bluebells in more shaded areas and the woods in addition to a host of other flowers. The English bluebell has a sweet scent and carpets woodland in a blue haze. A bluebell walk is an unforgettable experience. It's one of the highlights of late spring every year. Find bluebell woods on the northern slopes of Dartmoor near Okehampton, in the gardens of Castle Drogo (NT), lots of woods in east Devon, Halsden Nature Reserve in Great Torrington, the Arlington Estate near Shirwell in north Devon. 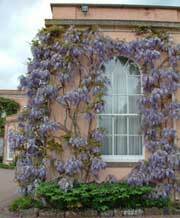 May is when wisteria puts on a glorious show. See it adorning old country houses. Visit stately homes and gardens to admire showy displays of rhododendrons. For garden lovers, Devon is much like a large garden full of smaller individual ones. Summer brings out the hanging baskets and cottage gardens are at their best. Admire these in the small towns and villages of Devon as you explore. Even pubs put on a good floral show making Devon a wonderful place to visit for flower lovers. Spending an afternoon in a Devon pub garden can be most enjoyable on a warm and sunny day with friends.